Practical information, companies and connections to Kaunas Airport, Lithuania. 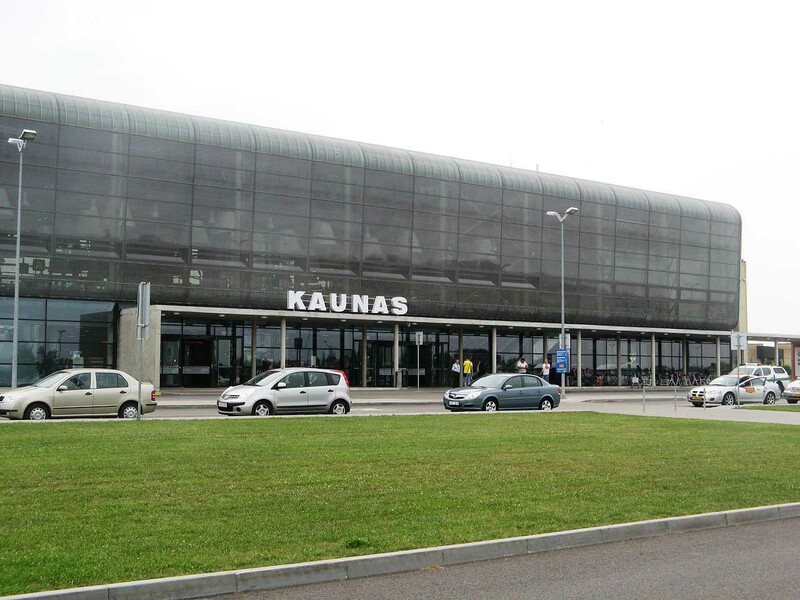 Kaunas Airport is an international airport that serves the homonymous Lithuanian city, about 100 kilometers from the capital. It is the fourth airport for passenger traffic in the Balkans, and the second busiest in the country, after Vilnius. In the Terminal you will find ATMs, duty-free, shopping areas and food outlets. The wifi line is available throughout the structure. You can use it for up to 6 hours, through the Kaunas Airport Free WiFi access point. Here is a list of the main companies and direct connections * to Kaunas Airport. Bulgaria Air, seasonal charter: Varna. Corendon Airlines, Seasonal charter: Antalya. Ryanair: Alicante, Bologna, Bristol, Copenhagen, Dublin, London-Luton, London-Stansted, Milan-Malpensa, Naples, Paphos, Shannon, Tel Aviv-Ben Gurion. Seasonal: Edinburgh, Eilat-Ovda, Girona, Palma de Mallorca, Rimini, Rhodes. Wizz Air: Ålesund, Bergen, Eindhoven, London-Luton, Stavanger, Turku. From this link, you can buy your flight to Kaunas Airport AT THE LOWEST PRICE! The Lithuanian airport is well connected to Kaunas and the main Lithuanian destinations, including the capital. Links with public transport are also available for Riga. Cars, and taxis, are the main alternatives to the bus. Kaunas Airport - Savanorių ave. - E. Ožeškienės ave. - K. Donelaičio ave.- Vytauto ave. (Kaunas Bus Station) - MKČiurlionio str. (Kaunas Train Station). When the last plane has landed, the 29E BUS travels the same route, with a reduced number of stops. The station is located outside the bank area of ​​the Terminal, easily accessible. You can buy tickets in local currency (Litas) or euros. The cost of the single trip is € 1.00. The Lithuanian company Ollex offers shuttle bus connections with Klaipeda, Kryzkalnis and Vilnius. Other connections are guaranteed in Intercity bus with Anyksciai, Birzai, Ignalina, Kupiskis, Marijampole, Moletai, Obeliai, Rokiskis, Sirvintos, Utena, Vilnius, Visaginas, Zarasai. At the airport there are many agencies to rent a car. You will find the classic international agencies, and national names. From this link, you can book your car at the best price. Kaunas Airport is easily accessible by car, via the A6 connecting the A1 highway and the Via Baltica E6.